The most disappointing words I’ve ever heard spoken from a pulpit still resound with me today. I was sitting with my mother listening to her pastor’s Mother’s Day message. With my Bible open and ready to turn to the focal passage of the sermon, I listened as the pastor went on and on about the role and influence of a Godly mother. I’m sure it all was very interesting and eloquent. But the only thing I remember from his message that day are the words he spoke at the end. Realizing that he had failed to cite any passages of Scripture, he declared, “Oh well. That message was good enough that it didn’t need any Scripture.” I almost fell out of my pew! In contrast, sitting with my wife years later, the most memorable Mother’s Day message I’ve ever heard was delivered by our oldest son. It was titled “I Hate My Mother”. Now that will make a mother sit up and take notice when her son is preaching! While the title made it memorable, it was the multiple Scriptures he cited that made it effective. It began with “If any man come to me, and hate not his father, and wife, and children, and brethren, and sisters, yea, and his own life, he cannot be my disciple.” (Luke 14:26 KJV) He then proceeded to lead us on a Scriptural journey to impress the point that, as much as we all might love our mothers, our devotion to Christ must be paramount. Two very different messages. One tickled the ears of many who were listening that day but lacked Scriptural authority and was soon forgotten. The other might easily have offended some mothers in the congregation, but it was rooted in the truths of God’s Word and likely remembered still today by all who heard it. This weekend, Protestant churches all across the world will be remembering the Reformation, commemorating the 500th anniversary of the publishing of Martin Luther’s Ninety-five Theses, which condemned the Catholic practices of indulgences. But the Reformation was about so much more than that. The Reformation did not happen because of the passion of Martin Luther or his actions on October 31, 1517. It happened because of the power of God’s written Word. It became inevitable when people like John Wycliffe and William Tyndale devoted their lives to ensuring that each of us has access to a Bible we can read for ourselves, absorb into our minds, and apply in our lives. 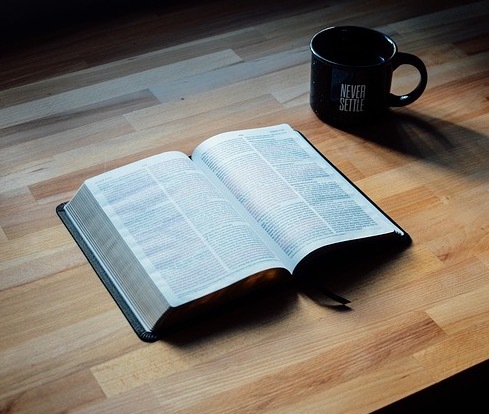 It continues as those of us who follow Christ recognize the blessing and privilege of unfettered access to God’s Word and make individual Bible study a daily priority. It advances as we live out Biblical principles in our lives and hold those tasked with the responsibility of preaching and teaching accountable for remaining true to the Scriptures. We have no greater model for that than the Bereans Paul encountered in Acts 17:11. May we take their actions to heart and follow in their footsteps.